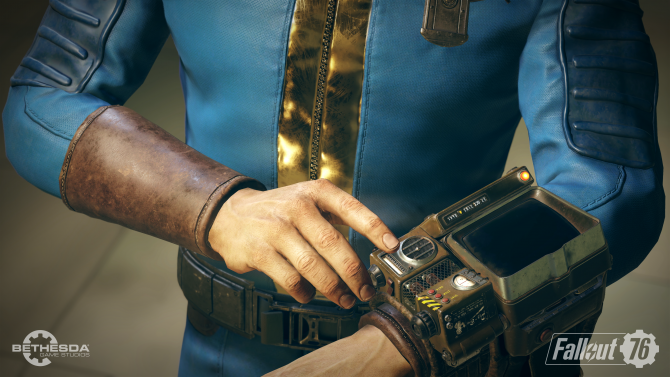 Fallout 76 throws out all of the single-player mechanics fans of the franchise loved, while adding in some proof-of-concept multiplayer. 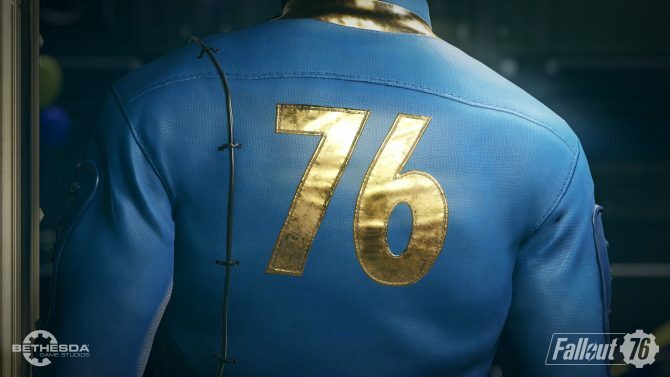 It’s hard to imagine Bethesda’s pitch for Fallout 76. “We have a huge dedicated player base for our single-player franchise. 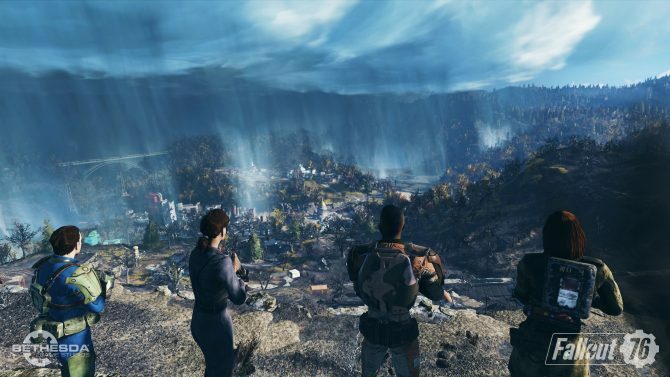 We should take away all of their favorite parts of the game and have these traditionally-isolated players play together.” Fallout 76 tears down the divisions between players by allowing them to play cooperatively. What’s left standing, however, is a hollow and joyless experience. When the game begins, you wake up after a crazy night of drinking. There’s confetti and balloons and party hats all indicative of a great time that you will never have. 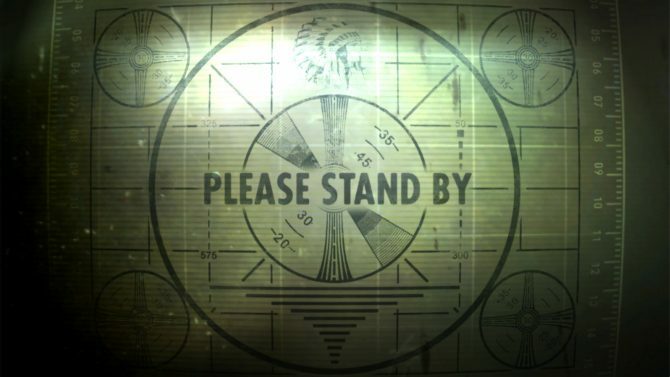 But while you leave the Vault, you’re subjected to an announcement from the Overseer, the only NPC who was ever alive—even moments before you awaken. Much of Fallout 76 persists this way. You are shown the remnants of an interesting story and forced to clean up all of the dead bodies and/or make some new ones. You’re tasked with following ghosts and putting their affairs in order, including the Overseer, who is (unsurprisingly) dead as there are NO human NPCs in the game. That’s not a spoiler by the way. That was announced when the game was. If that doesn’t sound like a Fallout game, it’s because it isn’t. One of the central tenants of a Fallout game is finding, helping, or hurting people that you discover inhabiting the leftovers of America. When there are no people left alive, it’s hard to feel like anything you’re doing matters. 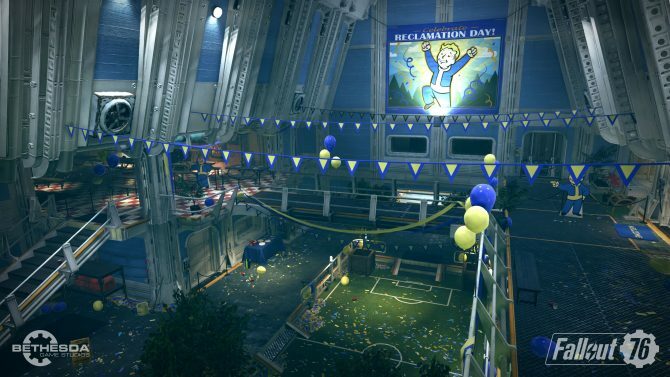 Vault 76, where the game begins, was created so that the best and brightest of America may repopulate and rebuild the nation. That’s why it’s strange that the character who emerges (you) is nothing more than an amorphous blob. Unlike previous titles in the franchise, you leave the vault with no backstory, no skills, no S.P.E.C.I.A.L. talents, and a face and body which can be customized at any point in your gameplay. It’s impossible to create an interesting character to roleplay as since every player is subject to the same gameplay for the first 15-20 levels (approximately 10-20 hours). You use what few guns you have ammo for and swing your machete when you run out. In Fallout: New Vegas, roleplaying was fun and creative. You could choose to allocate your S.P.E.C.I.A.L. points from the start of the game so you could play as a muscular fist-fighter who is not that smart, or a scientist who can use advanced plasma weapons but is very fragile. 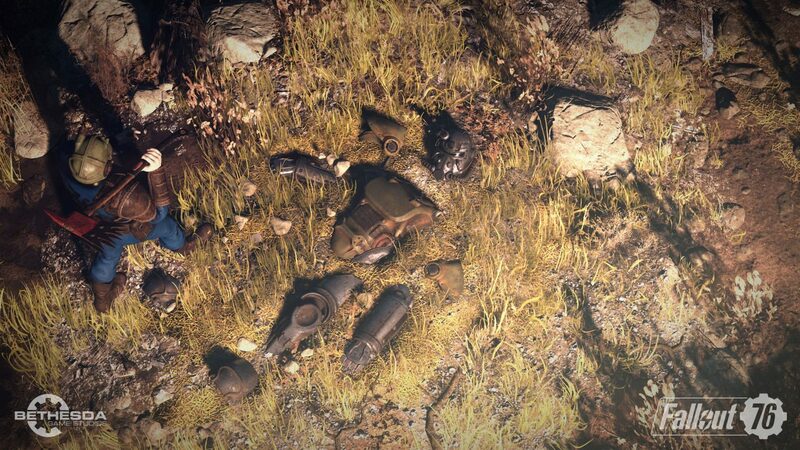 Fallout 4 had a similar system and while roleplaying was more limited by the fact that your character had a narrated history before leaving the vault, it is leagues beyond what is in Fallout 76. The Perk Cards that you get for leveling up are bland and unimaginative: “ten percent more damage with this weapon,” or “X weighs 25 percent less.” There are a few standouts, but players can’t base their gameplay on them because they’re awarded randomly. If you want to tell the player they matter because they need to “rebuild” then allow me to permanently impart change on the world. Bases aren’t permanent, quests are repeated time and time again by other players, and enemies respawn every 20-or-so-minutes. I understand that that is what a multiplayer game, like this, is about, but it is the antithesis of the RPG genre that Fallout came from. So you’ve stripped the game of everything that the single-player audience liked, next step, add multiplayer. While there are other players roaming around, and you may party up sometimes, even that is punishing. Unless your team is relatively the same level, you’re going to fight enemies with bloated level numbers who are bullet sponges against the pipe revolver and hunting rifle you’ve been using for 15 levels. Any loot they drop is scaled up too. I wasn’t able to find ANY loot from levels 10-25 that impacted or changed my gameplay when I played with friends. Everything, from the enemies to the armor, required level 30-50. If you don’t want to play cooperatively you can try PvP, but what I once thought was a great method of getting rid of griefing turned out to be the gameplay equivalent of taking an Ambien. In games like DayZ, you feel nervous when you see a new player because there’s the possibility they may help you, or they may just try and murder you for your supplies. Here, however, it is next-to-impossible to kill another player unless they fight back. This means you never feel like you’re in danger from other players and therefore PvP has no real weight to it. So I don’t want to play with my friends, I can’t play versus players, and I don’t want to play it alone. Here lies the central problem with Fallout 76. It is not enough of a single-player game to enjoy by yourself, and it doesn’t feel like there’s any reason to squad up either. I imagine that if anyone wanted this game it was the players who loved the base building from Fallout 4. But the laughably-small building budget you are given means you’ll never be able to show off anything more than 4 walls, a roof, a few crafting stations, and some turrets. If you want to move C.A.M.P., you can save your creation. But you’ll need all the resources you used to build it again. I wound up using the C.A.M.P. simply as a mobile loot chest because I was over-encumbered for, no lie, 80 percent of the time I spent playing. That also meant I was rarely ever able to carry around more than three weapons. 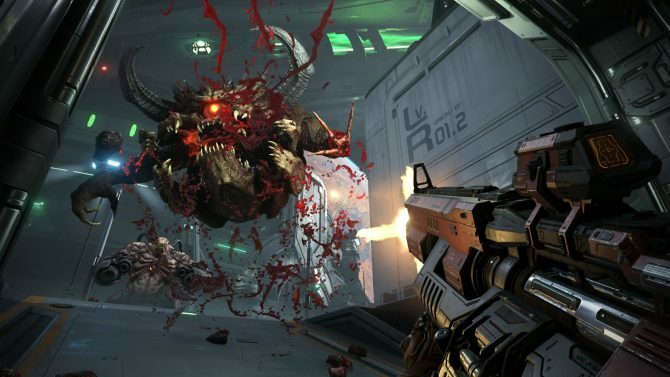 The shooting in the game feels a bit clumsier than Fallout 4, but it is further limited because you are meant to spend so much time with a few boring weapons. 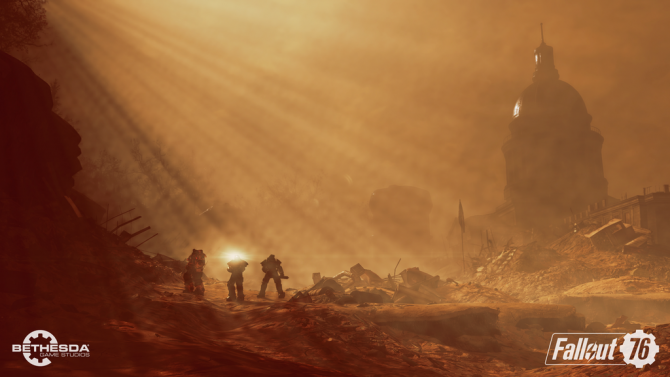 The one redeeming element of Fallout 76 is its faithful recreation of West Virginia. The state’s mythos is perfect for a Fallout game, but even at its heights, I was left rummaging through humorously-placed skeleton and the holotapes they conveniently recorded right before they died. While some areas were interesting to explore, I was punished for doing so because any loot I found while out in Appalachia just meant I needed to get rid of something else. With a personal carry weight of approximately 200 and a nonsensically-small stash of 400. I, a Fallout player who traditionally searches every nook and cranny of the game’s world, was unable to fast travel or run after just a few hours of gameplay. I do not think that this project is salvageable. Even if the age-old bugs that have plagued every Bethesda game are handled, the core gameplay loop is uninteresting and goes nowhere. Bethesda wagered that people would like this game’s take on the core systems of Fallout. Instead, it alienates the franchise’s fans and repels any players who are looking to break into the series. All in all, I dreaded every hour I had to keep playing Fallout 76 for review. As soon as the game was beginning to teeter on fun or interesting, a bug or a frustrating gameplay design element would quickly remind me that the game was otherwise. 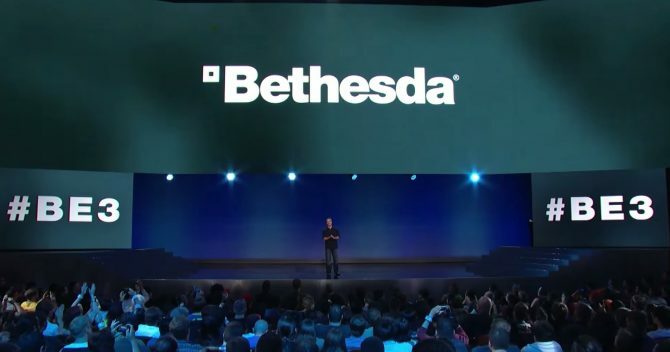 I’m interested to see whether Bethesda will continue to put work towards making this a somewhat enjoyable experience or if they’ll just save their money for Fallout 5.